Weeks ahead of its much anticipated stock market debut, the social networking giant Facebook has recently made yet another mobile application acquisition. The smartphone ‘social discovery’ application Glancee, a San Francisco startup, was purchased for an undisclosed amount and signals Facebook’s ongoing effort to penetrate the ever growing mobile market. Glancee can be described as an ambient social networking location app for everyday people. In essence, the Glancee app helps users safely discover other users within their vicinity who share similar interests. According to the Glancee founders, the objective is to combine the best of the physical and digital worlds to help people make useful connections. Similar to Facebook’s one billion acquisition of the photo sharing app Instagram, the Glancee purchase has created quite a buzz in the digital world and has led to much speculation as to what Facebook’s long term growth strategy and vision for the future may be. What can be said for certain is that Facebook has recognised that the mobile market is growing exponentially, as is the potential for new advertising revenue in this area. What is not yet certain is how Facebook will monetize Instagram and Glancee; at the time of purchase both had no revenue. Besides making greater headway into the mobile market, the Glancee acquisition by Facebook has also been viewed as a talent grab. Since the acquisition, the Glancee application has been removed from the Apple online store. 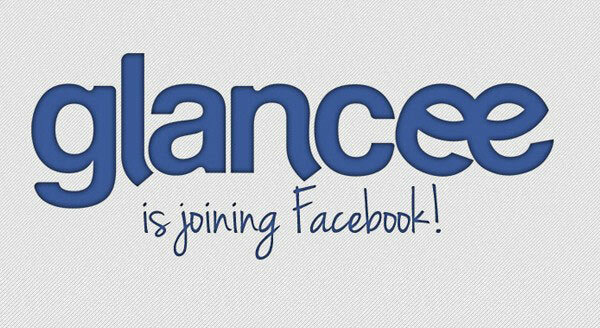 The Glancee founders and small team of employees have joined the Facebook team in Menlo Park to help better the Facebook user experience of over 900 million members by creating new products and functions for the social networking site. 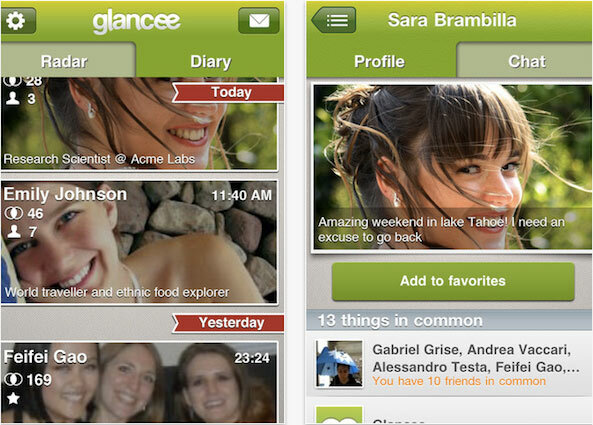 According to reports, the Glancee mobile app was not Facebook’s first choice. The social networking company could not secure a purchase of Glancee’s competitor Highlight, so they acquired Glancee in order to effectively compete in the ambient location market. The Highlight mobile application enjoys a user membership that is three times larger than Glancee, with over 9 million active users linked to Facebook as opposed to Glancee’s 3 million. In preparation of Facebook’s expected launch onto the tech-heavy stock market Nasdaq in May, the company is currently on a massive marketing drive to showcase its investment potential. According to the US Securities and Exchange Commission, Facebook established a price range for its shares between $28 and $35, which would value the social networking firm at a massive $70 to $87.5 billion, just behind Amazon and Cisco but ahead of Hewlett-Packard and Yahoo! The Glancee and Instagram acquisitions may secure investor faith that Facebook is a company with a forward-looking vision with the ambition and resources to grow into other markets. Previous: How To Make Money From Kindle Books!